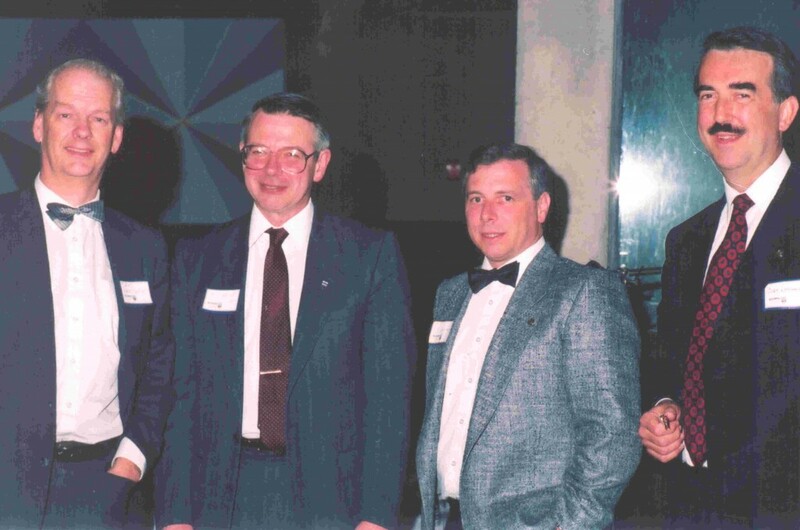 David Hardwick, William Webber, Richard Beauchamp and Curt Latham in 1988. 1983 – Dr. Hardwick and a group of keen students first proposed the idea of a student and alumni centre. 1984 – The Medical Alumni Association (MAA) was established. Its first project was the construction of MSAC. 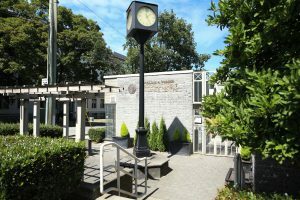 1985 – A site at the northeast corner of 12th Avenue and Heather Street was leased from VGH. Fundraising began. By the end of the year, the MAA had raised $48,000 for the centre. 1988 – Three phone-a-thons organized by MAA raised most of the funds needed to begin construction. More than 60 volunteers phoned alumni all over BC. It was the most successful phone-a-thon in UBC’s history with $160, 000 in total pledges. MSAC on opening day, March 17, 1990. 1989 – A groundbreaking ceremony marked the official beginning of construction. 1990 – MSAC’s grand opening included a ribbon cutting ceremony led by Dean Martin Hollenberg. Students conducted a ‘reverse trek’ from UBC to the MSAC site. The fundraising goal of $960,000 was reached in March. 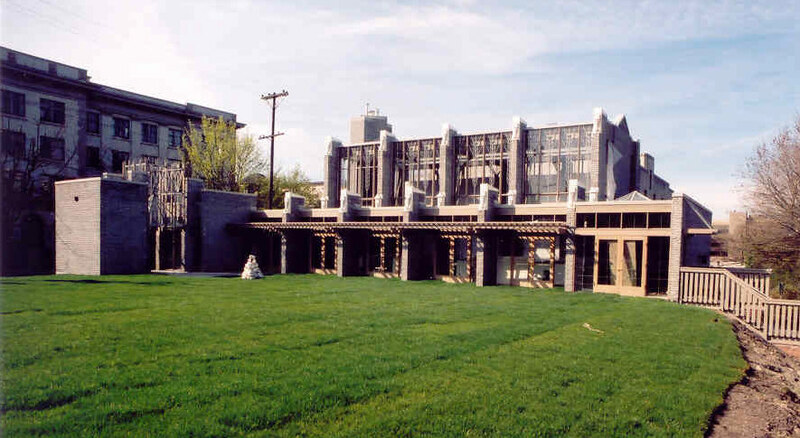 1995 – The unveiling of a donor cairn in the courtyard of MSAC recognized the support of hundreds of donors. 1996 – Opening ceremonies were held for Phase II of MSAC. More than $1,250,000 had been raised to date. 2004 – MSAC expanded with the addition of a locker room and the Heritage Time Capsule wall. Each class of medical graduates now has its own time capsule drawer for special memorabilia relating to that class. 2005 – Videoconferencing equipment connects MSAC’s many student activities to UBC Medicine’s distributed sites in Prince George and Victoria. 2014 – The construction of an MSAC space for the Island Medical Program began in late 2014 at the Royal Jubilee Hospital in Victoria. 2015 – MSAC celebrates its 25-year anniversary! The construction of MSAC Victoria was completed. 2017 – MSAC NMP opens in the University Hospital of Northern BC in Prince George.